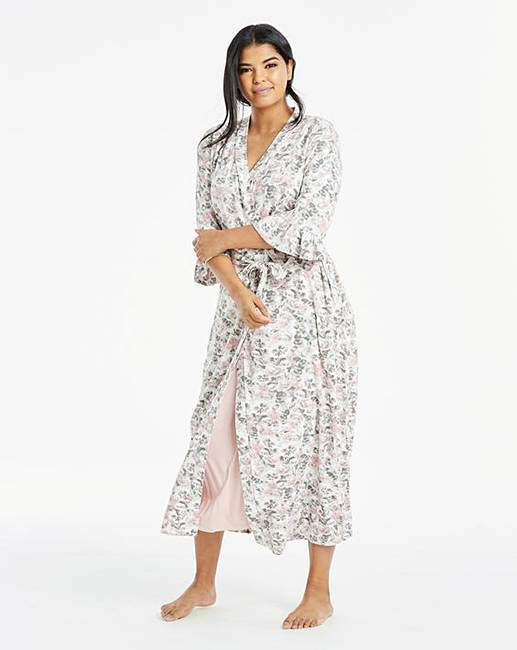 Together Maxi Kimono Gown is rated 4.0 out of 5 by 1. Looking for something comfortable and cosy? 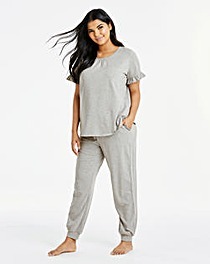 You can't go wrong with our new and exclusive to us range of Together loungewear. 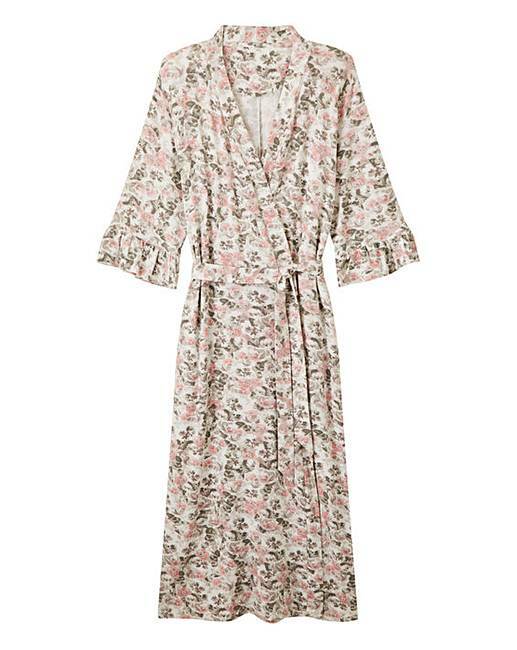 Featuring this gorgeous maxi kimono gown, in an elegant grey and pink rose floral print. With frill detailed ¾ sleeves, side pockets, self tie waist in a supersoft jersey fabric. Why not pair up with one of the matching pyjama sets or chemises to complete the look. Rated 4 out of 5 by LindaAnn from Love this I just bought this gown at a bargain price, it is lovely and well made, quite soft. The sleeves are fabulous and a deal breaker for me as it is Very Long if youre not model height 5'9" I will have to get it shortened. Would like this in a plain colour aswell.